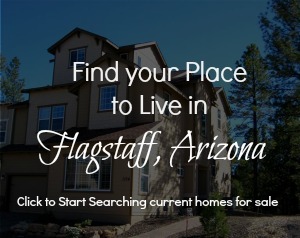 Flagstaff, Arizona is a small Mountain town with a big presence. During the four-season climate, there is always something fun to do outdoors. 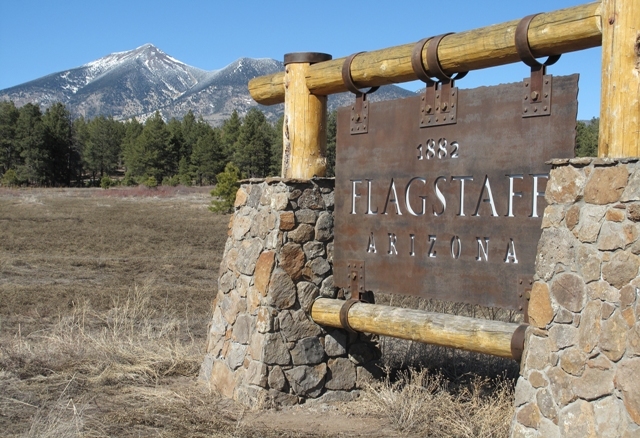 Attracting outdoor enthusiasts from all over the world, Flagstaff is a popular destination. Weather: Four seasons. Winter averages 100 inches of snow per year. Summer’s average high temperatures are in the high 70’s to low 80’s. Year round, the sun shines and welcomes mild weather conditions. I-17. 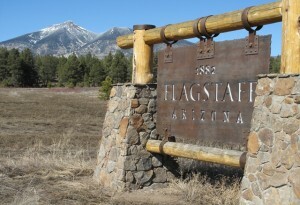 Flagstaff is the Northern tip of I-17, which runs 145 miles south to Phoenix. I-40. Running east-west, I-40 runs from Barstow, Ca to Albequerque, NM. Historic Route 66. Runs east-west through the city. 89A. Runs south to Sedona/Oak Creek. Highway 180. From downtown, runs North and leads to Snowbowl, and beyond to the Grand Canyon. FUTS (Flagstaff Urban Trail System). The FUTS is 55 miles of trail system that winds throughout Flagstaff, giving bikers and walkers an ideal route to commute through town. Click here to view the Flagstaff Urban Trail System Map. Cycling. Flagstaff is designated a “Bicycle Friendly Community” by the League of American Bicyclists. There are 117 miles of dedicated bike lanes. 58% of major roads in Flagstaff have a bike lane. Flagstaff is also a major destination for Mountain Bikers. Skiing. Downhill skiers enjoy Arizona Snowbowl. The Flagstaff Nordic Center is a prime cross country skiing destination.